This semester we are holding a special election. The current undergraduate trustee is graduating and therefore unable to fulfill the Spring 2019 semester of the term. The person elected in this special election will fulfill the balance of this term (i.e. Spring 2019). Another election will be held in Spring 2019 to elect an undergraduate to serve for the next two year term (Fall 2019- Spring 2021). There are two student representatives to the Board of Trustees, a representative of undergraduates and a representative of graduate and professional students. • For the term, attend all meetings of the Board and meetings of Committees to which they have been assigned. • Prepare for meetings beforehand by contacting affected parties prior to meetings to discuss questions and answers you or they may have. • Vote on every resolution after careful consideration of the possible effect on both the students and the University. • Be professional, ethical and responsible in personal behavior. Students look up to you. Be worthy of their respect. • Advocate for the University as a whole, and particularly as a student. Advocate for the long-range good of the whole. • Be accessible to the students, the general public, attend functions and events. Stay informed of issues by becoming acquainted with as many people as possible who are associated with the University. • Be accessible to the media, but always vigilant to present views fairly. • Establish and maintain regular contacts with regional campuses and professional schools. Remind students that they have a voice through you. • Communicate on a regular basis with students, faculty, and staff. • Maintain the confidentiality of executive session discussions and materials and other sensitive matters. Never betray a confidence. • Be an enthusiastic supporter of the University, and advocate on its behalf at all times. • Vow to make the experience of representing the students a rewarding and fulfilling experience. • Must be a full time student at the University of Connecticut while holding this position (as per Connecticut state law). • Must not be on conduct probation or suspension while a candidate or while holding the position. For more information about what it’s like to be the Undergraduate Student Trustee, see this letter from the outgoing UG Trustee, Christine Savino. Hi there! 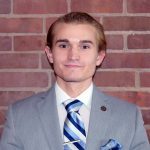 I’m Dylan Nenadal, a junior management major here at UConn, and I want to represent you on the Board of Trustees. I can best represent your vision for UConn due to my extensive experience and record of creating actual change on campus. If elected, my first action will be to establish an advisory committee in which all students are welcome to provide feedback and shape my agenda. I will be the bridge from you to the administration. I also plan to expand my initiative to provide free tampons and pads across campus, create solutions to our parking situation, increase student representation on Board committees, fix our budget/stop raising tuition, integrate our branch campuses, and accelerate UConn’s ascension as a premier institution. I have the experience with administration to accomplish these goals. I helped move overnight parking limits from 1 to 4am, collaborated with the current student Trustee, and worked on the University budget and the Provost’s library committees. A vote for me is a vote for achieving true results that you care about! 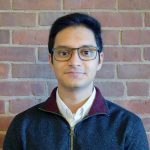 I’m Nandan Tumu, a Junior Computer Science major here at the University of Connecticut. I think I’m the best candidate for the job. I’ve served as the Speaker of the Senate of the Undergraduate Student Government, and currently serve as the Chief Justice. I’m also a project leader for the UConn Consulting Group. I think these experiences have prepared me well for the role of the Student Trustee. Through my experiences at USG, I’ve learned what it’s like to lead a large organization with a large budget. Through me time with UConn Consulting Group, I’ve learned how to investigate problems and derive solutions efficiently and accurately. I want to make sure that the student experience here at the UConn is as good as it can be. I want to make sure that our university prepares our students to excel after graduation, and continues to get better over the next 5-10 years. Immediately, I want to make sure that student voices are heard as UConn faces financial challenges, ensuring students’ financial burden is low. For an overview of the responsibilities of the position, detailed special election schedule and timeline, campaign rules, application and financial statement materials, Student Trustee Elections Committee (STEC) bylaws and members, please see the following STEC Packet. More specific deadlines can be found in the STEC Packet.